This hidden gem was a tiny taqueria that recently moved in to new (larger) digs. Order food to go at the counter or have a seat in the dining room if you want to relax while you enjoy Maria’s cooking. 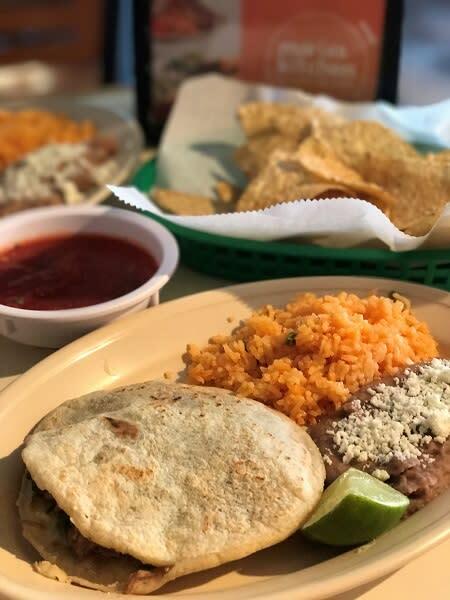 Order a crisp gordita loaded with pork, cilantro and minced onion, or barbacoa burrito. Everything is made from scratch. Muy autentico!